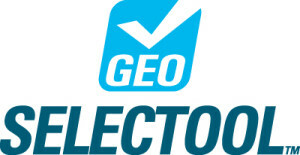 Geoselectool is a chiller selection software, developed by Geoclima, together with the Department of Information Engineering of the University of Padua. Thanks to the Geoselectool, you can manage your own projects: you can plan the energy demand of the building, select the Geoclima unit that most suits to the specific requirements, simulate the annual energy consumption and define the financial plan for that specific plant. This selection provides the simulation of the thermal load of the specific building. The user inserts data concerning the location and the technical details of the building and then data about the cooling demand, such as the periods and the time blocks of use. Thanks to the sophisticated algorithms that control its own operation, the Geoselectool can compare two chillers – already selected – and provide an evaluation of the benefits deriving from the use of the different technologies. The user, selecting two different chillers, can get a comparison between them based on different aspects (energy consumption, energy costs, EER and ESEER). This selection is particularly useful to explain the benefits of one technology compared to another and to emphasize how the solution that might seem to be the most expensive – at least at the beginning – but also the most efficient, turns out to be the most appropriate in the long term. This selection compares two chillers on the basis of data concerning the installation site, without any reference to the technical details of the building: in this way the user can evaluate the thermal load obtained using other systems. Inserting the data concerning the location and the end use of the building – but without any specification about the technical and physical details – the user can calculate the required cooling capacity through the input of the estimated value in the section “Load”. The Geoselectool will compare the two chillers, keeping into consideration also the energy consumption and the energy costs, and suggest which one turns out to be the most suitable solution. The traditional method of calculation used by the Geoselectool does not require the inclusion of location and technical details of the building, and the user can directly select one type of chiller (water, air or with remote condenser) and simulate the efficiency according to the required cooling capacity. This method is based on a convergent iterative method of the main components of the chiller: it considers only the features of the unit at load and ambient conditions as indicated in the project. 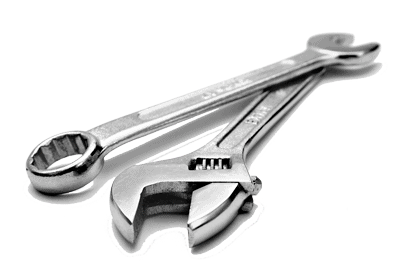 This method ensures high precision in the calculation and in the provided technical data, such as efficiency, electrical power consumption, capacity, noise levels and so on. Whatever the selection is, the user can download the final report and send the commercial offer of a specific unit model. Every report is saved within the personal archive of the user, who can always check the selections performed. These three types of chiller selection offer different alternatives to get a realistic simulation of the working conditions and a search for the best solution provided by Geoclima.